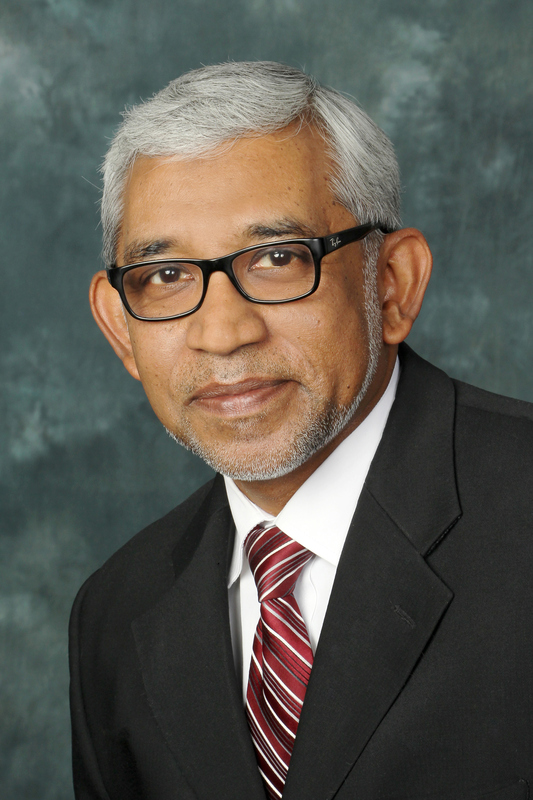 Parvez Ahmed is Professor of Finance at the Coggin College of Business, University of North Florida (UNF). In 2009 he was named a U.S. Fulbright Scholar. Prior to joining UNF he taught at Penn State University – Harrisburg and University of North Carolina at Charlotte where he also served as the founding Faculty Advisor for the Student Managed Investment Fund. At PSU he was also the Associate Director of the Giant Food Center for Economic Development. He has led student study abroad programs to London, Paris, Turkey and Egypt. His research work has appeared in several major finance journals such as the Journal of Portfolio Management, Financial Management, Journal of Banking and Finance, Journal of Investing, and Financial Review. In addition his papers have been published in Applied Economic Letters, Global Business and Finance Review, International Review of Economics, Managerial Finance, Journal of Wealth Management, and Journal of Alternative Investments. He recently published a book titled, “Mutual Funds – Fifty Years of Research Findings.” The book is published by Springer. He also published an article in the Case Western Reserve Journal of International Law. In addition Dr. Ahmed writes editorials about Islam and the American Muslim experience. His articles have been published in several leading newspapers including the Orlando Sentinel, Miami Herald, San Francisco Chronicle, Chicago Sun Tribune, Houston Chronicle, New York Newsday, Seattle Times, San Jose Mercury News,St. Louis Post-Dispatch, Florida Times Union, Charlotte Observer, Tampa Tribune, Times of Israel and many others. He is a regular contributor to Huffington Post. In addition, he was a long time contributor to the leading English newspaper in Turkey, Today’s Zaman. Dr. Ahmed also teaches a special 10-week course titled, “Islam-the faith, the people and their politics,” at the Osher Lifelong Learning Institute in UNF. He was a 2-term member of Jacksonville’s Human Rights Commission. Currently he also serves on the boards of Museum of Science and History and the World Affairs Council of Jacksonville. In 2010 Folio Weekly named him “Person of the Year.” In 2014 he was awarded the Silver Medallion Humanitarian Award by OneJax. In 2015 he was named Arthur Vining Davis Fellow to the Aspen Ideas Festival. In 2016 he was awarded the Desmond Tutu Peace and Reconciliation Award from UNF. In 2016, he completed a one year fellowship with Shalom Hartman Institute’s Muslim Leadership Initiative. Parvez Ahmed is Professor of Finance at the Coggin College of Business, University of North Florida (UNF). In 2009 he was named a U.S. Fulbright Scholar. His research work has appeared in several major academic journals. In addition, he coauthored a book titled, “Mutual Funds – Fifty Years of Research Findings.” He also writes editorials about Islam and the American Muslim experience. Dr. Ahmed teaches a special course titled, “Islam-the faith, the people and their politics,” at UNF. He currently serves on the boards of Museum of Science and History and the World Affairs Council of Jacksonville. In 2010, Folio Weekly named him “Person of the Year.” In 2014, he was awarded the Silver Medallion Humanitarian Award by OneJax. In 2015, he was named Arthur Vining Davis Fellow to the Aspen Ideas Festival. In 2016, he was awarded the Desmond Tutu Peace and Reconciliation Award from UNF.